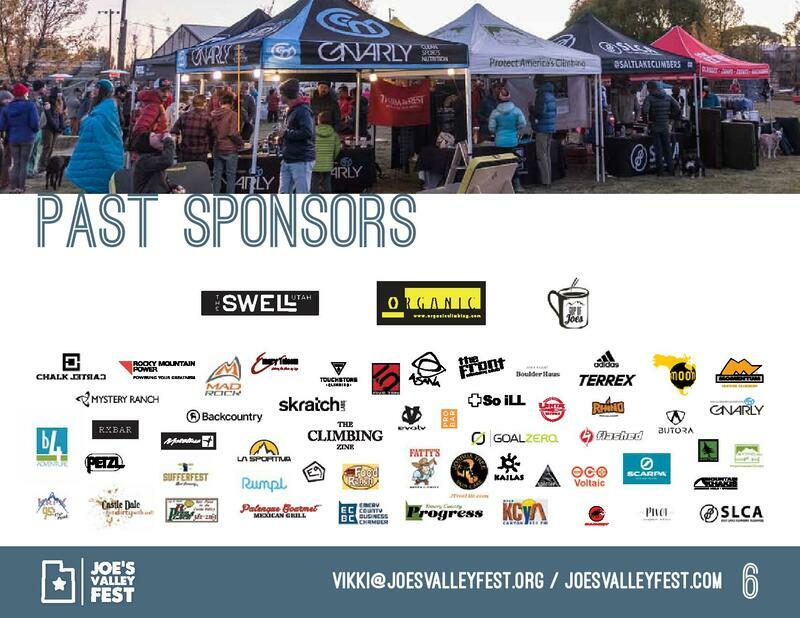 Events like this simply don't happen without Sponsors! 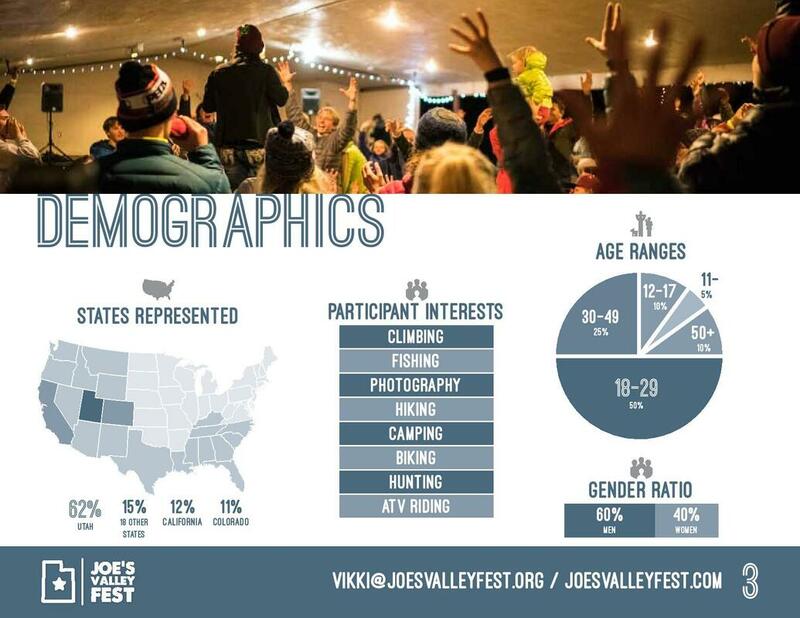 The Joe's Valley Fest is so much more than just a celebration of the outdoors. 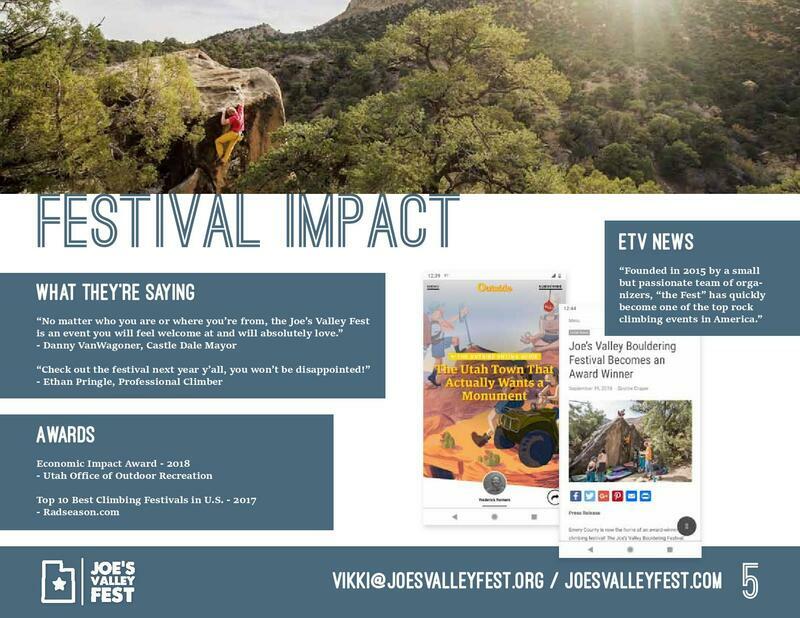 One very important goal of ours is to help sustain the local economy of Emery County and we are proud to announce that the Fest was the recipient of the first Utah Office of Outdoor Recreation Economic Impact Award in 2018! 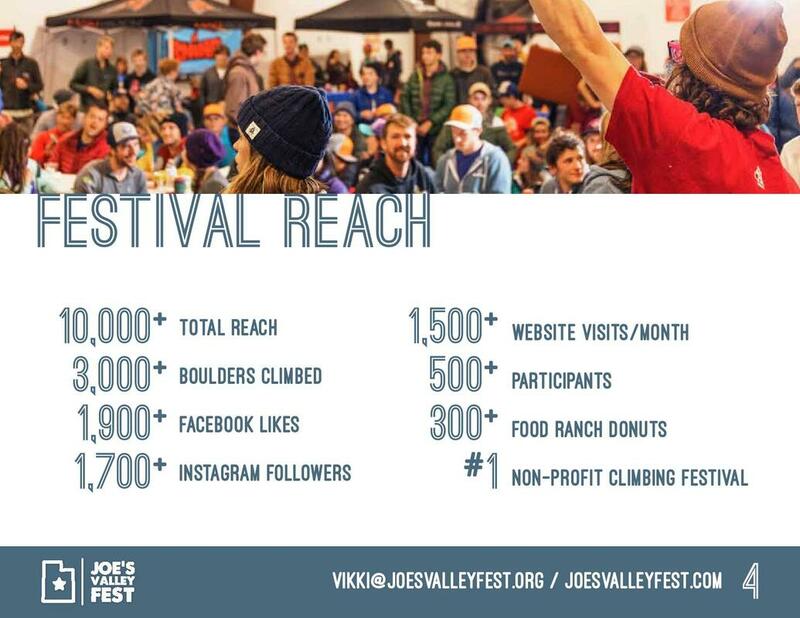 New businesses have sprung up and more and more lodging options are becoming available as the Fest continues to make Joe's Valley a destination. 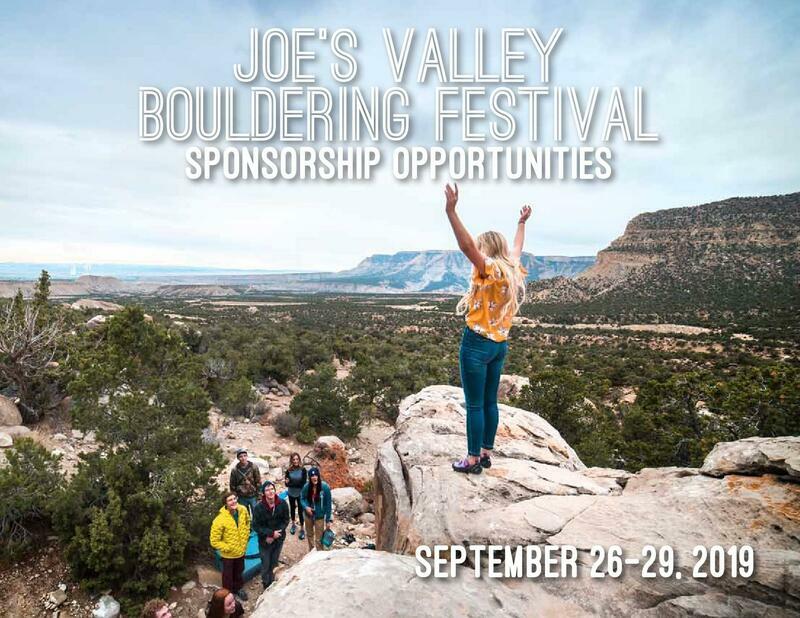 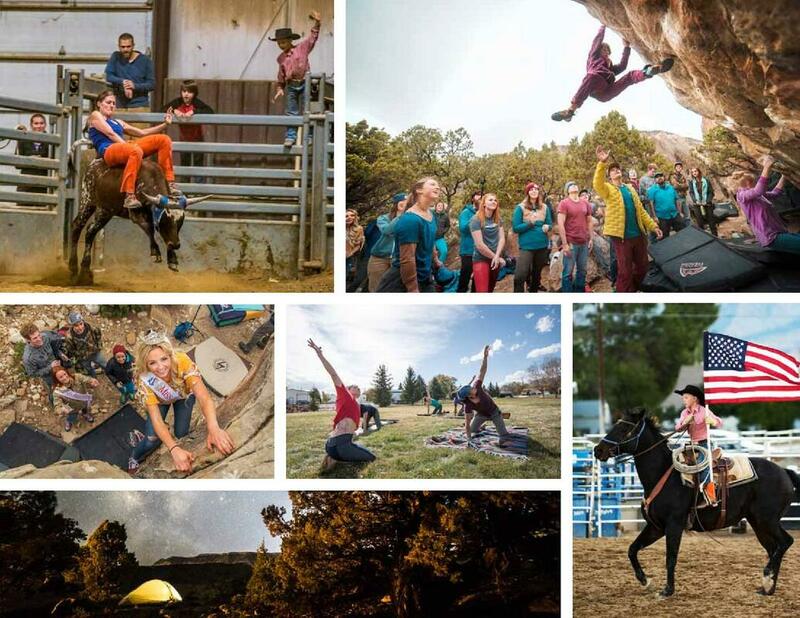 However, none of this can continue to move forward without support from sponsors like you and we would love to have you as a partner of the 2019 Joe's Valley Bouldering Festival! 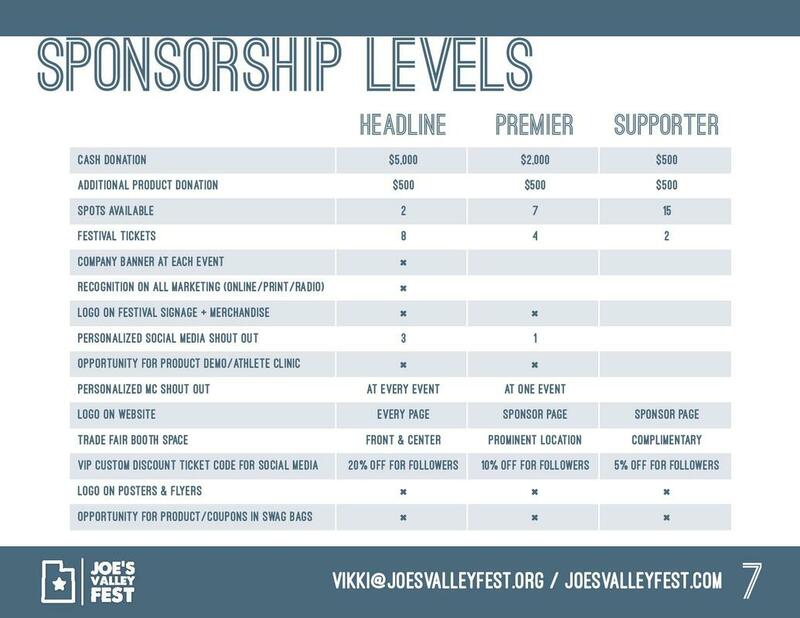 Sponsorship opportunities can be fulfilled with cash or a combination of cash and product value. 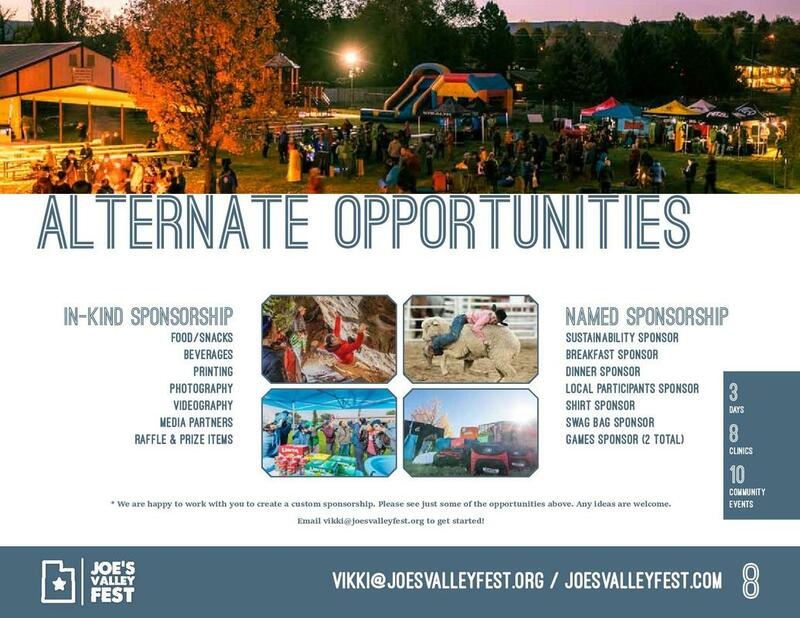 Check out our packet below and email vikki@joesvalleyfest.org with any questions you may have about becoming involved and helping us continue to grow this amazing event, as well as the local economy that supports us! 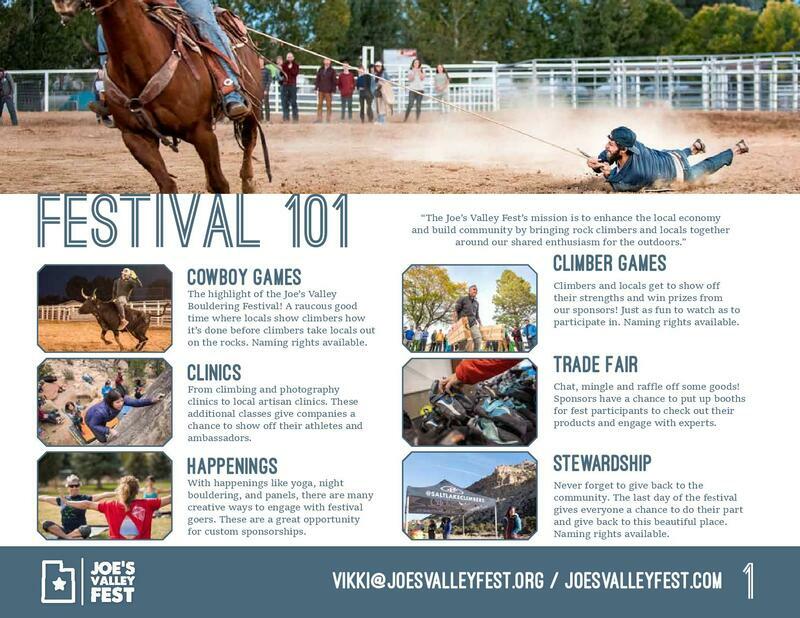 Check out the Sponsor Packet!